Lighters are available at Dutch-Headshop in many shapes and sizes. From cheap gas lighters to luxury plasma lighters. Most of them are pre-filled with gas, though you can also buy lighter fillers. A lighter for smoking is, of course, indispensable. Especially on the go, a lighter is essential to light your joint or cigarette. 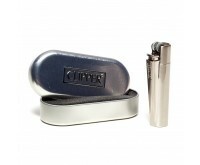 Dutch-Headshop has a variety of different and well-working lighters that are durable. For as little as a euro you can already choose between two excellent lighters from the Dutch-Headshop. These lighters are, thanks to their electronic push button, more user-friendly than lighters with an iron sparkwheel. Both lighters are refillable as well. You prefer a more luxurious gas lighter or torch lighter you can use in all wind and weather conditions? 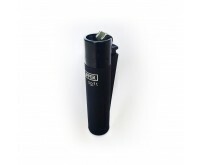 The Dutch Headshop offers two other excellent lighters with multiple beneficial features. The Hyper Torch de Luxe is a lighter with additional options. The characteristics are shown below. The best lighter in the product assortment is the Jet Burnger Lighter Formula. This lighter is perfect for people who find it important to have a real quality lighter in their pocket. The Formula Jet Burner can be used exclusively for smoking a water pipe. The lighter's flame can be set. A yellow and blue flame are among the options. The blue flame is ideal for a vaporizer that should be heated manually. The flame is also adjustable in height and can be set higher and lower by means of a knob at the bottom. Apart from lighters, you can also buy lighter filling at the Dutch-Headshop. 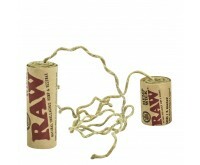 Lighter filling consists of butane gas and is suitable for filling gas lighters. An ideal product when your lighter is empty and you don't have another lighter at home. Colibri's lighter filling is also suitable to extract hash oil or BHo (Butane Hash Oil). Dutch-Headshop has two lighters that are made in collaboration with Futurola. They carry the Dutch-Headshop logo. The lighters differ in size and therefore in price. Unilite is an important brand in the lighter market. 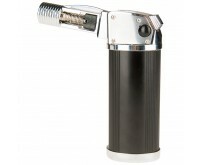 The producer has a high-end lighter in its product range (the Hyper Torch de Luxe) and also lighter filling. Order a lighter online and discover the convenience and benefits of Dutch-Headshop quality lighters.